The UK's economic growth will be the worst of any European Union country over the next two years, according to the European Commission’s annual growth forecast. Growth this year is expected to be 1.3 per cent – ahead of only Italy and Denmark - and it is expected to slow to 1.2 per cent next year, making the British economy the joint-slowest growing of any EU state alongside Italy. In 2020, Italian growth is predicted to surpass the UK's - which is forecast to remain at 1.2% - leaving the British economy as the slowest growing among all 28 EU states. These growth predictions are down from 1.7 per cent in 2017. Releasing the report on Thursday, the Commission described Brexit as a "lose-lose situation economically", further warning that a no deal Brexit that sees the UK crash out of the EU on World Trade Organisation terms could have even worse consequences for the British economy than predicted. "The uncertainty around the future status of the UK outside the EU is expected to weigh on UK growth," the report states. "There are large downside risks to the forecast, particularly in the case of a no deal scenario. The results of relevant studies generally show that Brexit is a lose-lose situation economically." Valdis Dombrovskis, European Commission vice president for the Euro and social dialogue, said: "All EU economies are set to grow this year and next, which will bring more jobs. However, uncertainty and risks, both external and internal, are on the rise and start to take a toll on the pace of economic activity. We need to stay vigilant and work harder to reinforce the resilience of our economies." 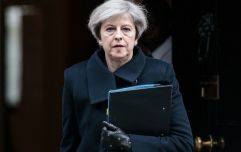 The forecast differs from the Office for Budget Responsibility's predictions of 1.6 and 1.4 per cent growth for the UK in 2019 and 2020 respectively. Previous research has found that all possible eventualities of leaving the European Union will result in young people losing money and that a majority of Brits now believe the decision to exit the EU was wrong in hindsight.